Clark Instrument is a company that has more than fifty years of experience in providing measurement, monitoring and control solutions for a wide variety of industries. One of the major factors underpinning their success is the fact that they focus heavily on precision, ensuring that any products used on a production line will be as reliable as possible. In addition to that, the company also invests in novel solutions, and therefore have some precision equipment that may be difficult to get from other companies. If you are ready to buy any Clark Instruments, simply look through our inventory and take your pick. 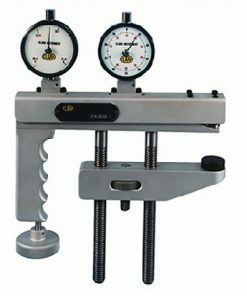 Willrich Precision dedicates itself to making it as easy as possible for clients to access high quality precision instruments as well as other related accessories. Our prices are fair, but this does not mean that the tradeoff is quality; you will still end up with high quality and precise instruments. In case of any trouble, you can always reach out to our customer care representatives who will be more than glad to help you sort it out.